Like this episode? If so, please show your support by sharing the episode or by leaving a rating and review on itunes. And thank you so much! Depression, decreased emotional regulation, diminished impulse control, shallow relationships, higher likelihood of violent crime. Those are just a few of the things that are made more likely by playing too little. 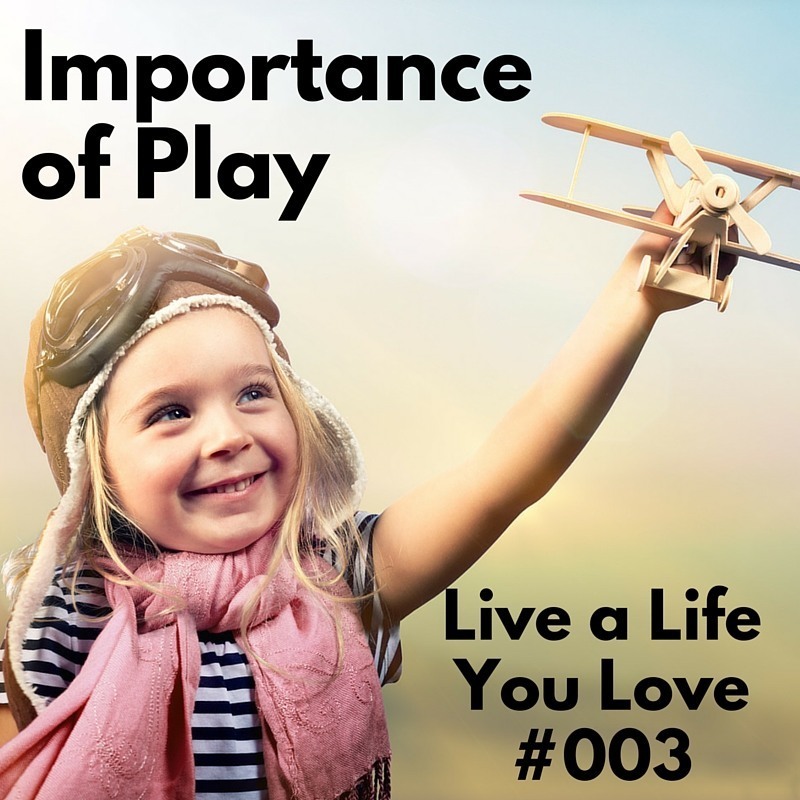 In this episode of Live a Life You Love, I discuss why play is so critical for every aspect of your life, from your relationships to your business/career to your health. I also talk about 4 of the easiest ways to add more play into your life. This is particularly important to me, not only because I love play (and games in particular), but also because play has helped me overcome both burnout and minor bouts of depression. And I have many friends for whom play has also played a big role in the improvement of their mental and emotional well-being. Play reduces fear and anger and instead builds unity and friendship. Playfulness – and the skills that playfulness develops, such as a good sense of humor and fun-loving – are some of the most highly valued traits among members of both sexes when choosing a sexual partner. Play both improves creativity and also leads to a better attitude and more persistence at work. Unfortunately, the time allotted for play for both kids and adults has decreased dramatically over the last half-century, with some estimates showing a decrease of up to 71%. No matter who you are, play is critically important for living a life you love. Please listen and let me know below if you’ve got any thoughts or comments!